Waste Management agreed to pay $700,000 in fines for violating state emissions standards at its Pottstown, PA landfill in 2004. 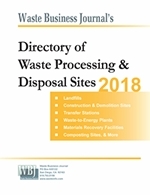 The landfill stopped accepting waste in October 2005 but still generates gas and is closely monitored by the Pennsylvania DEP. The company submitted plans to close the landfill in October last year. But the company and the Pottstown borough soon became engaged in a legal dispute over the agreement whereby the Pottstown borough took the landfill's leachate in exchange for free recycling and reduced tipping fees on waste disposal. Resolution of the debate is at the heart of the landfill's closure plan. Part of the problem is that no one can agree on the flow rates. 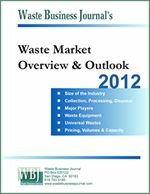 For more information on Waste Management, visit: www.wm.com. For information about the Pottstown Landfill, visit: www.depweb.state.pa.us/southeastro/cwp/view.asp?a=3&Q=462381&PM=1.